The Xbox 360 Wireless Gaming Receiver for Windows lets you connect up to four wireless headsets and four wireless controllers to a PC running Microsoft Windows XP with Service Pack (SP2) or a later version of Windows. Remove the green label from the USB connector on the receiver. Insert the USB connector into a powered USB 2.0 or 3.0 port on the computer. Windows 10 will automatically install drivers for the receiver. Once you see the pop-up notification that the drivers have been installed, you can connect your wireless accessory. Turn on the Xbox 360 wireless accessory that you want to use with your receiver. On the receiver, press the connect button. The light flashes green. On the wireless accessory, press the connect button. For example, on the wireless controller, the connect button is on the back. Green flashing lights on the accessory and on the receiver indicate that the device is trying to establish a connection. When the lights stop flashing and remain lit, the accessory is connected. For example, on a wireless controller, one of the lights around the Guide button will remain lit. 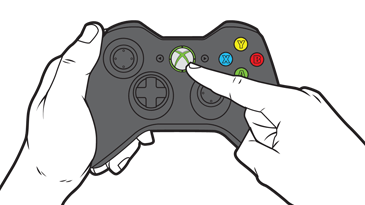 Open a game or the Xbox app and test your accessory by pressing a button, pulling a trigger or moving a stick on the wireless controller. 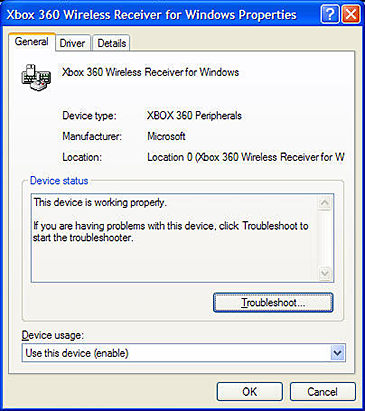 Note If you experience problems connecting the receiver, go to Troubleshoot the Xbox 360 Wireless Gaming Receiver for Windows 10, below. Note The USB ports on the front of your computer are probably not powered USB 2.0 or 3.0 ports. Try using a USB port on the back of the computer. If the Add New Hardware Wizard starts automatically, select Install the software automatically (Recommended), and then select Next. If the wizard installs the software successfully, select Finish, and then go to Step 3: Connect an Xbox 360 wireless accessory to your computer, below. If the wizard fails to install the software, continue with the next section, "Step 2: Install the Wireless Gaming Receiver software". Note Before you can use wireless accessories with your computer, you might need to install some software on your computer. Insert the installation disc into the CD or DVD drive of your computer. If the Setup program doesn't automatically start, change to your CD or DVD drive and then run the Set-up program. Follow the steps in the wizard to install the software. Restart the computer if you're prompted. Green flashing lights on the accessory and the receiver indicate that the device is trying to establish a connection. When the lights stop flashing and remain lit, the accessory is connected. For example, on a wireless controller, one of the lights around the Guide button will remain lit. The Wireless Gaming Receiver is not plugged correctly into the USB port. The Wireless Gaming Receiver device driver is not working as expected, or Windows 10 is out of date. The USB hub is overloaded. Check the USB connection. Make sure that you've connected the Wireless Gaming Receiver for Windows to a powered USB 2.0 or 3.0 port on the computer. The best way to verify the connection is to unplug the Wireless Gaming Receiver from the USB port and then plug it in again. If the light still doesn't illuminate, try connecting the receiver to a different USB 2.0 or 3.0 port on the computer. On the Start menu, select Settings. Select Check for updates. If there are any updates available, Windows will automatically install them. Once your device downloads and applies the update, try using the receiver again. Refer to your game documentation for information about how to configure accessories for a specific game. Drivers for Xbox controllers and accessories are included with Windows 10, so you won't have to download or install software other than Windows 10 updates. The Wireless Gaming Receiver device driver is not working as expected, or the driver is out of date. Check the USB connection. Make sure that you've connected the Wireless Gaming Receiver for Windows to a powered USB 2.0 or 3.0 port on the computer. The best way to verify the connection is to unplug the Wireless Gaming Receiver from the USB port, and then plug it in again. If the light still doesn't illuminate, try connecting the receiver to a different USB 2.0 or 3.0 port on the computer. Swipe in from the right edge of the screen, and then tap Search. Or, if you're using a mouse, point to the lower-right corner of the screen and click Search. Type devmgmt.msc, and then tap or click Device Manager in the search results. Type devmgmt.msc in the Run box, and then click OK. In the list of different devices, locate the entry for XBOX 360 Peripherals. Tap or click the plus sign (+) to the left of XBOX 360 Peripherals to show all the peripheral devices for Xbox 360 that are attached to the computer. Locate and double-click Xbox 360 Wireless Receiver for Windows. The Xbox 360 Wireless Receiver for Windows Properties dialogue box opens. Verify that the Device status area of the dialogue box displays the text, "This device is working properly". If the device doesn't appear in Device Manager or if the Device status area doesn't indicate that the device is working, verify that the software is installed correctly. See Step 3: Connect an Xbox 360 wireless accessory to your computer, earlier on this page. Check the USB port device. USB hubs can only supply power for a limited number of USB devices. It's possible that your USB hub can't provide sufficient power for all the devices that are plugged into it. 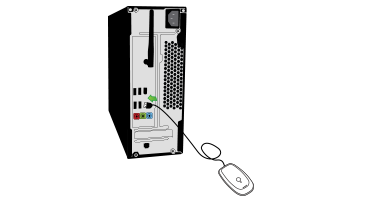 Note The USB ports on the back of a PC are typically powered ports. The USB ports on the front of a PC may not be powered ports. Connect the Xbox 360 Wireless Gaming Receiver for Windows directly to a powered USB 2.0 or 3.0 port on the back of the computer. Verify that the green light on the Wireless Gaming Receiver lights up. If these steps resolve the problem, we recommend that you move the other USB powered devices to a powered USB 2.0 or 3.0 hub. Would you like to contact Support regarding the "Xbox 360 Wireless Gaming Receiver for Windows" issue you were reading about or a different issue?